Pitayo was born in 2014 and it has slowly evolved into what it is today. We started out as a classic “paint night”, but over the years we have branched out to offer a variety of art workshops in many different mediums. From painting, to glass fusing, to metal embossing, and mobile making, we continue to carve our place in the Puerto Vallarta community by providing a creative alternative for your Saturday night. Licia moved to Puerto Vallarta in 2012 from Colorado Springs, CO. She majored in studio arts at the University of Colorado in Boulder. 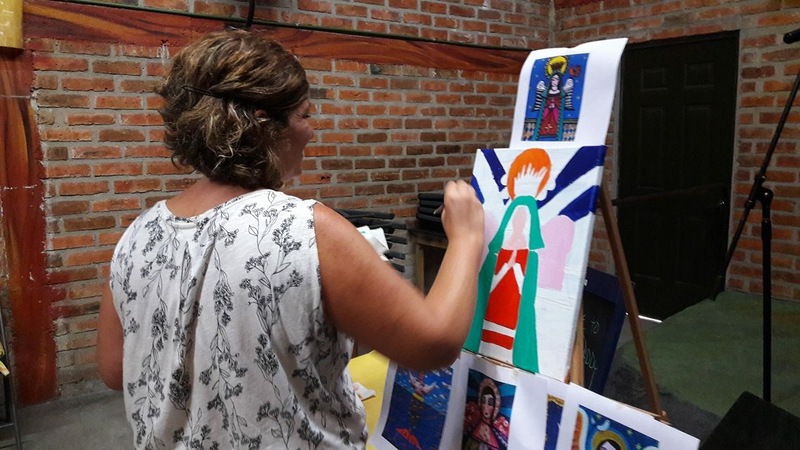 She has been teaching art for 12 years and is currently the K-12 art teacher at the American School of Puerto Vallarta.